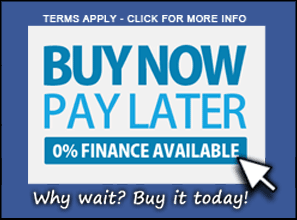 Please be aware that this product does not come with original manufacturer trademarks. 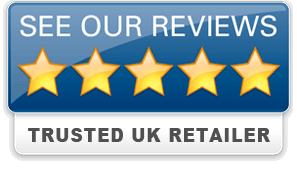 These are removed by the supplier before import into the UK. If you want a weapon with these trademarks please check out the Umarex range. The Tokyo Marui USP Compact feels great to hold and even better to shoot. A working decocker and ambidextrous mag release are just some of the features faithfully recreated from the real steel version. The frame features a proprietary rail system that fits lights and lasers but there is a 20mm Picatinny rail adapter included in the box as well. 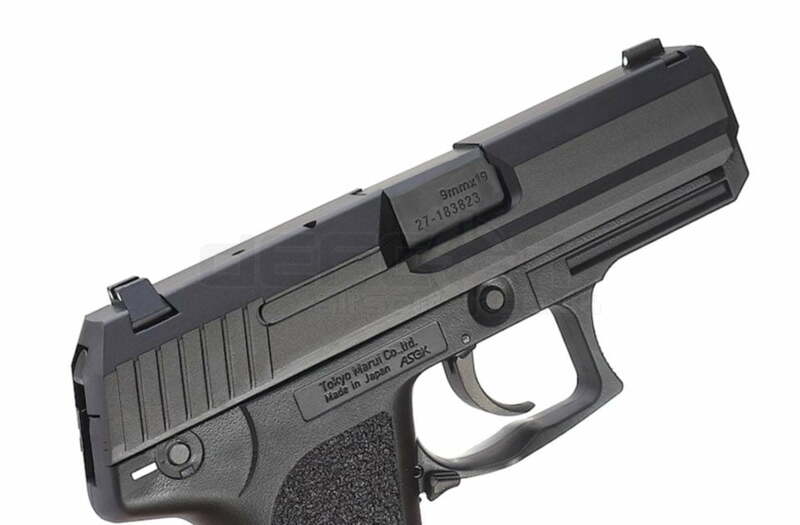 This new family of pistol was focused on the US civilian and law enforcement market. In 1991, USP prototypes participated in the Offensive Handgun Weapon System (OHWS) program requested by USSOCOM and result in MK23 Mod 0. 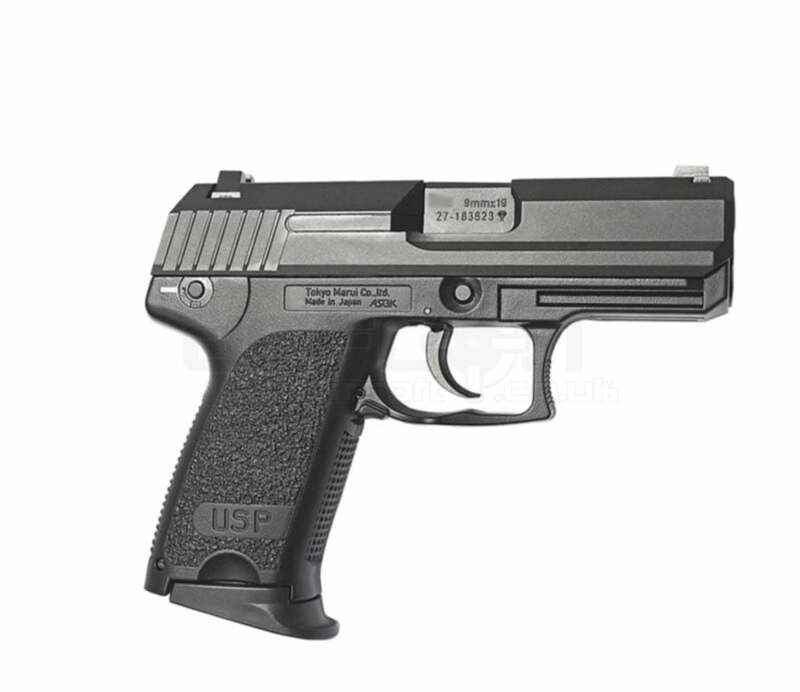 Then the USP prototypes were refined in 1992 based on the OHWS trials and finalized the design. USP was formally introduced in 1993 with the USP40 (.40 S&W) and USP9 (9 x 19mm) and later the USP45 (.45 ACP) in 1995. 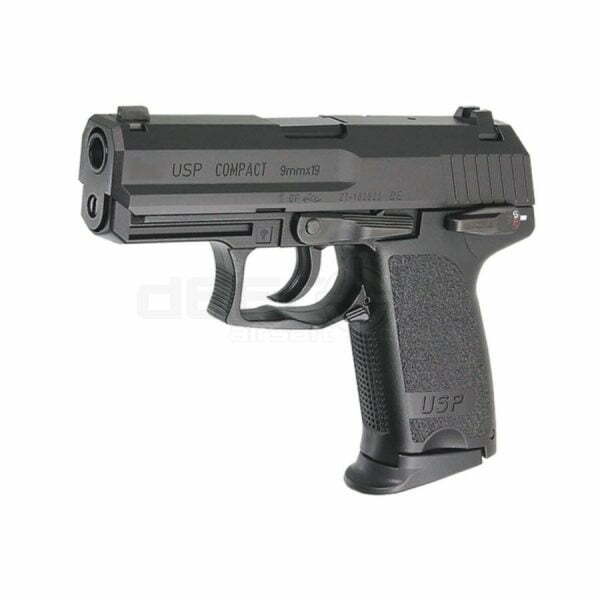 The first USP Compact appeared in 1996. 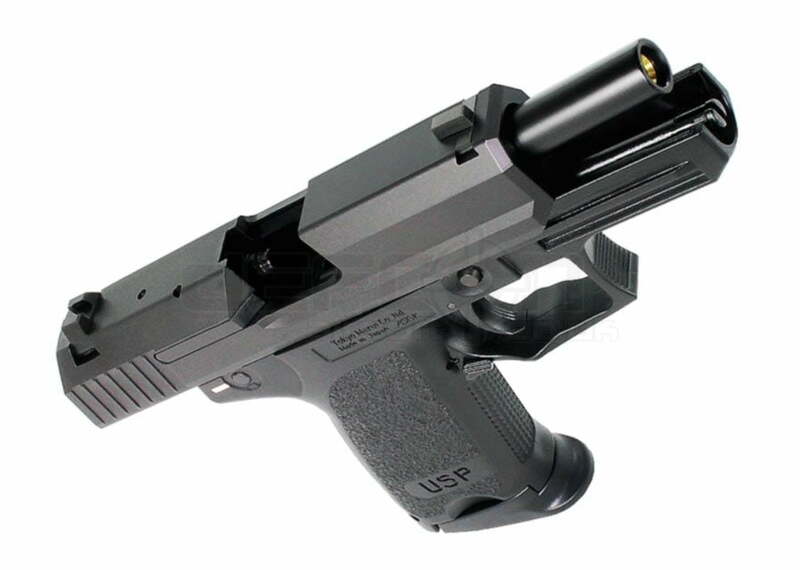 The USP Compact is a scaled-down USP, it has a smaller size of the frame, shorter slide and the magazine for Compact has a handgrip extension. It also has a bobbed hammer to reduce possible snag from the hammer on a holster or clothing while the pistol is being drawn. The USP Compact is available in all the same cartridges as the full-size version and additionally the .357 SIG, USP357 Compact.